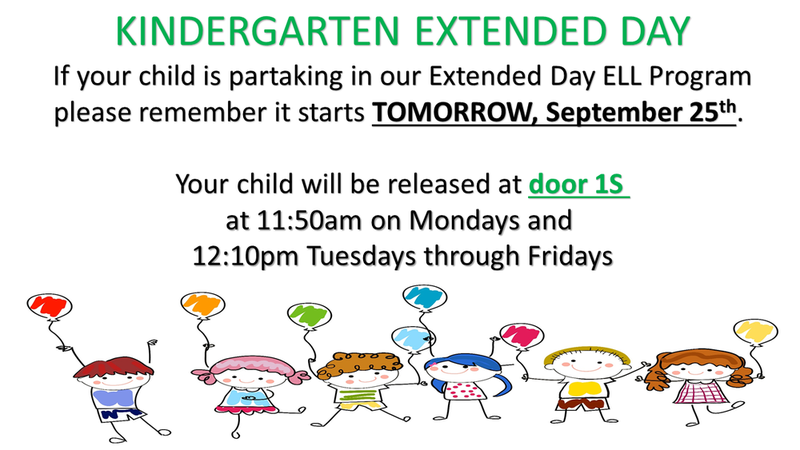 For those that were invited to partake in our ELL AM Kindergarten Extended Day Program, it starts tomorrow and goes for the entire school year. Tonight is the night! 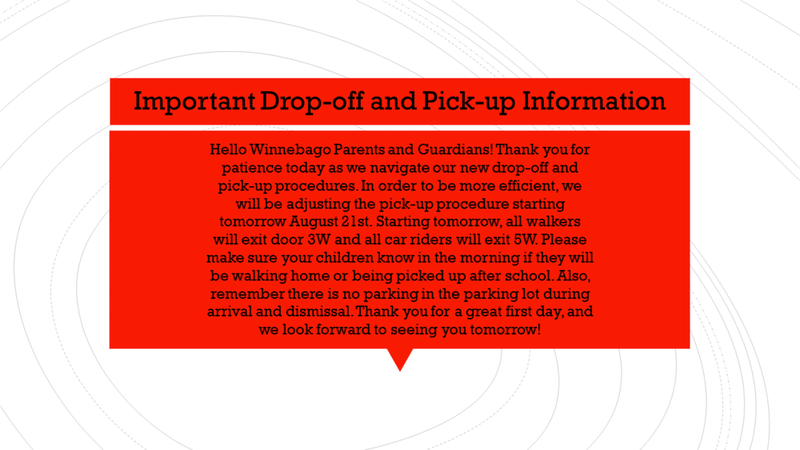 Come over to Winnebago to pick up your Taffy Apples and to Meet-the-Principal, Ms. Lazor. Oh, and there will be ice cream! See you anytime between 5:00-7:00 pm. Chic-Fil-A, mention Winnebago and a portion of all proceeds will go back to our school. This is the 2018/2019 bus schedule for BUS 1 and BUS 2. Please remember to be at your stop 10 minutes before the listed time. 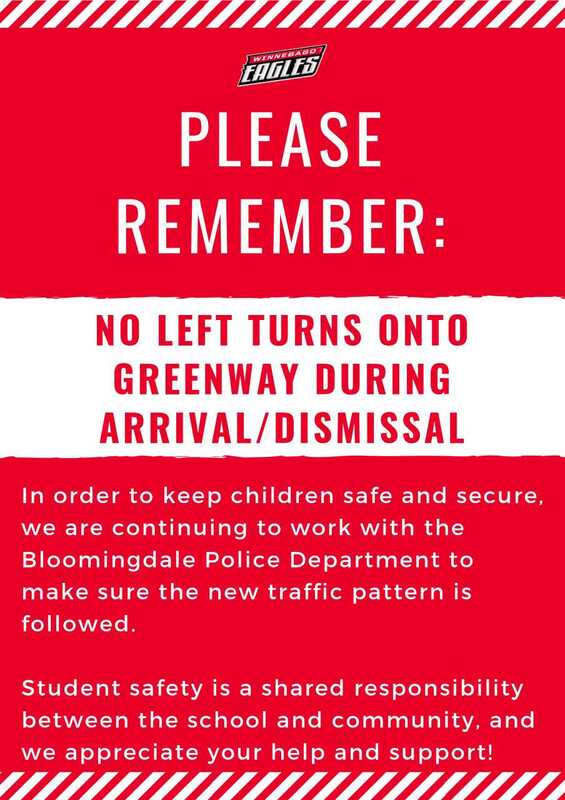 For Monday's early dismissal drop off times please subtract 45 minutes from the listed drop off time. This is the 2018/2019 bus schedule for BUS 1.